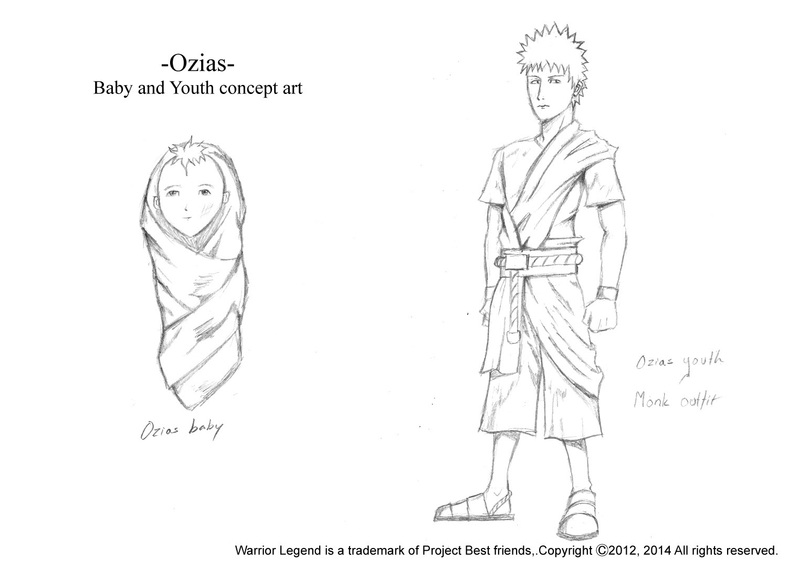 Warrior Legend Manga Universe: Ozias again! When I have the time I'm working on the script and the storyboard together to make both come out good on paper, so that we in the end can make this into a great manga/cartoon. I don't want to show any of the storyboard work yet due to spoilers, and it's still at a early stage. As all humans we have all been babies once. As the story starts Ozias is just a baby and grows to be a kid with special abilities, skipping time again he will be a adult as the story goes on, so don't worry, you wont be reading a story about a baby for long, hehe. "Ozias baby and youth concept art"
About the artwork, this has been made recently due to what's needed in the storyboard. Ozias youth outfit on the right is what the monks wear. I will get back with more about the monks later on, they don't play a big part, but they are there. Hope you can enjoy this drawing for the time being.